International Student Company Festival 2018 welcomes its participants on the first day with a Teacher Conference and Student activities in which each and every one of ISCF 2018 participants can take part. 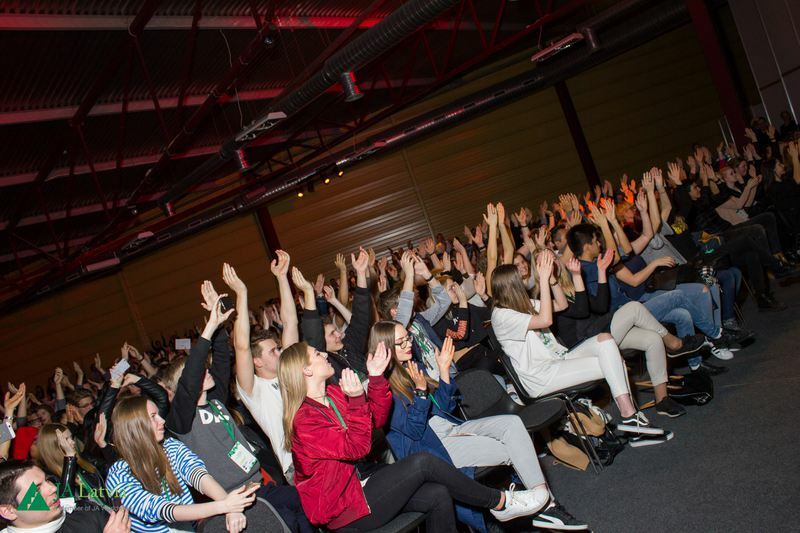 This year the teachers will have a chance to hear about different methods of implementing the Student Company program in school curriculum and hear from JA Europe and fellow teachers about a self-evaluation tool for the students called Entrepreneurial Skills Pass. Of course, the chance to work practically will not be skipped thanks to JA Latvia content partners Riga Business School that will offer the teachers an opportunity to participate in a Silicon Valley Mini Challenge workshop. 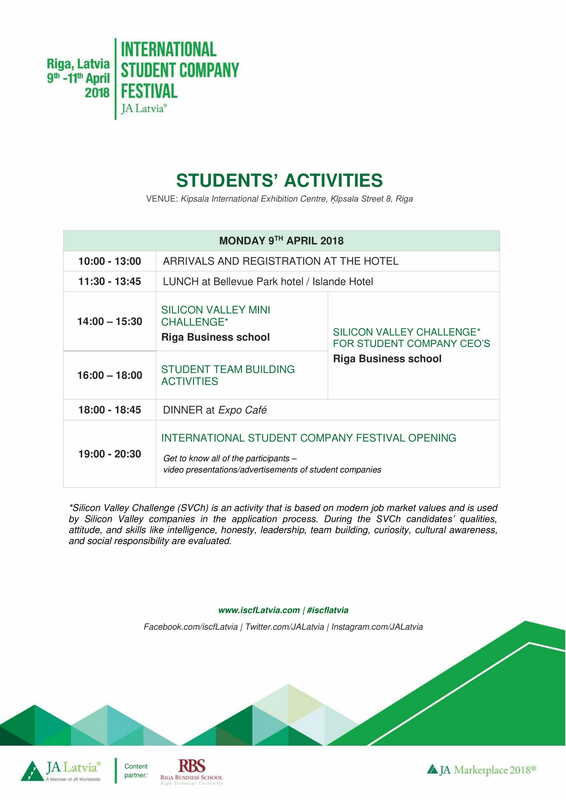 In the meantime the students will have the chance to take part in different activities and the Student Company leaders will be able to take on the full Silicon Valley Challenge. The winner of it will be announced at the Award Dinner on the second day of the event. See the full agenda in higher resolution by clicking on it.